The ISLA is a summit in students' ascension to leadership principles intended to guide their future and offer a fresh perspective in a world that grapples with life and business practices that best serve their families, communities, and careers. The first day of July arrives not only as the month we in the United States celebrate independence but also is a day for celebration at Co-Serve International for students from around the world. 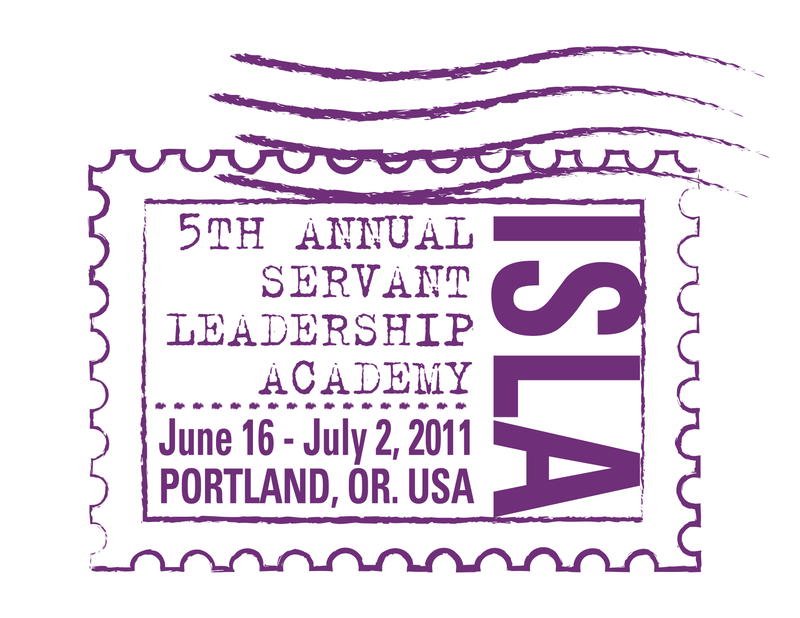 Since 2006, the modest Oregon based nonprofit Co-Serve International has held five conferences known as the International Servant Leadership Academy (ISLA). The ISLA is a summit in students' ascension to leadership principles intended to guide their future and offer a fresh perspective in a world that grapples with life and business practices that best serve their families, communities, and careers. While attending the two week intensive study on leadership, students visit corporate examples that actively pursue and exemplify the models taught at the ISLA. These businesses include Kaiser Permanente, Western Partitions, First Fruits, AKT Financial, Medical Teams, International, Good Shepherd Community Church, Owl Brand Discovery Kits, and many others, many of which are ongoing sponsors of the event. "In the world, there is a growing leadership crisis," describes Co-Serve Founder Marshall Christensen, "We believe that servant leadership and community building go hand in hand. All too often, the decisions taken by individual leaders have negative consequences. For some organizations adopting the model of collaboration, consultation, and cooperation means radical culture change. The result, however, may be stronger teams and better decisions." The company brand is First Fruits, because the company offers its first fruits—in the form of profits—to help people and communities around the world. Each year the company donates approximately 75% of its profits to local, domestic, and international projects through the Vista Hermosa Foundation and affiliated businesses and ministries. Cheryl founded the Center for Sharing in 1986, and has helped create some 25 program ministries in the United States that serve among the poor and marginalized, such as housing, medical clinics, outreach and residential youth programs, and educational ministries. The company believes that its ethical foundation is the primary reason for its business success. Co-Serve has enjoyed a partnership with Cheryl and Center for Sharing since 2006 as far away as the mountains of the Philippines and as close as home in Oregon's Academy. During the ISLA, students will spend three days at First Fruits and Center for Sharing, witnessing these principles in action and participating in their programs, a high point of their two week study. "Too often it is the negative behavior of businesses we see. That's what makes the news. Co-Serve's focus is inspiring young, future leaders by being around these business leaders in addition to what they learn in our courses," shares Co-Serve Board of Directors Vice-Chair Chris Anderson, himself an Oregon businessman working to live out and facilitate the same business principles. "That's the secret ingredient---if we're not walking the walk, we detract from the message rather than upholding a positive model of substantive change---it's about transformation. And they leave truly different and inspired young adults while those of us who facilitate ideally experience a similar recognition of our own journey. It's really beautiful and hopeful." On July 1 a dozen students from Kazakhstan, Ukraine, and the US will celebrate their graduation from of the 2011 International Servant Leadership Academy at Portland's Marylhurst University. They will then return to their respective jobs, homes and universities where their newfound knowledge will be put to the test. You can follow the ongoing work of Co-Serve International at their website or on their Facebook page at http://www.Facebook.com/CoServe. Cheryl Broetje, Co-Founder of Center for SharingCheryl Broetje, a Washington State business owner and Co-Founder of Center for Sharing will keynote the 2011 ISLA Graduation.